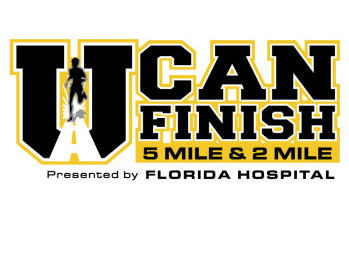 Back on October 16th I ran the U Can Finish 5 miler, another race as part of the Track Shack Fanatic Series. The last time I ran this race was back in 2010. I was excited to run it again and see how much the University of Central Florida campus had changed. The day before the race was homecoming at UCF. Since Ryan and I are alumni we decided to take the boys with us for some tailgating. We didn't go into the actual game but did enjoy hanging out with some old friends and buying Mason a new UCF tshirt. On our way home from homecoming I made sure to pick up a cheeseburger for my pre-race dinner (no picture and no review ... wasn't too memorable). Sunday morning I headed out to campus on my own (the boys stayed home with Ryan). I remember thinking to myself that I would actually try to race and try to run hard. I finished 6th in my age group, with a time of 38:20 minutes. I've realized that the women in Orlando are FAST. The next race as part of the series is in January ... I better work on my speed.